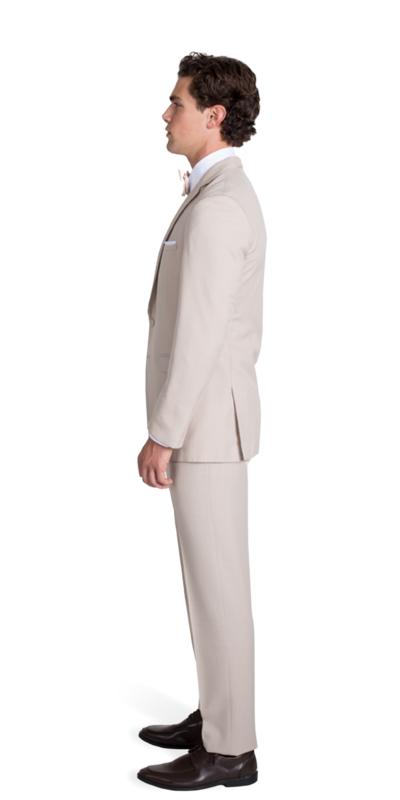 Two button notch lapel suit in tan by Allure Men. 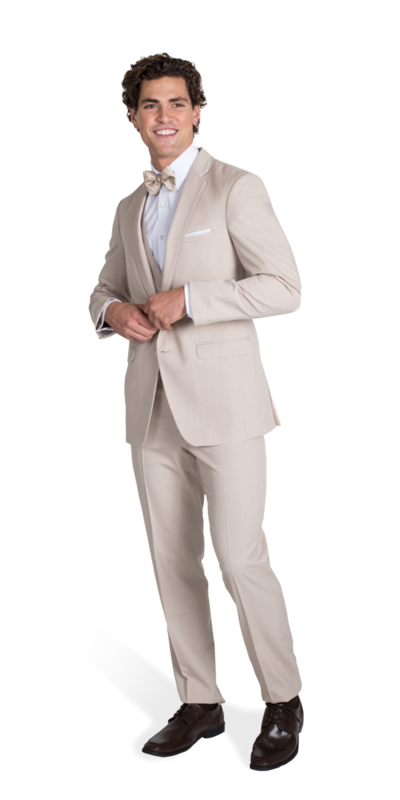 There’s nothing bland about the Tan Suit by Allure Men! This light and airy look is appropriate for events taking place during the warmer months of the year, whether you’re planning to attend a summer beach wedding or garden party in the Spring. 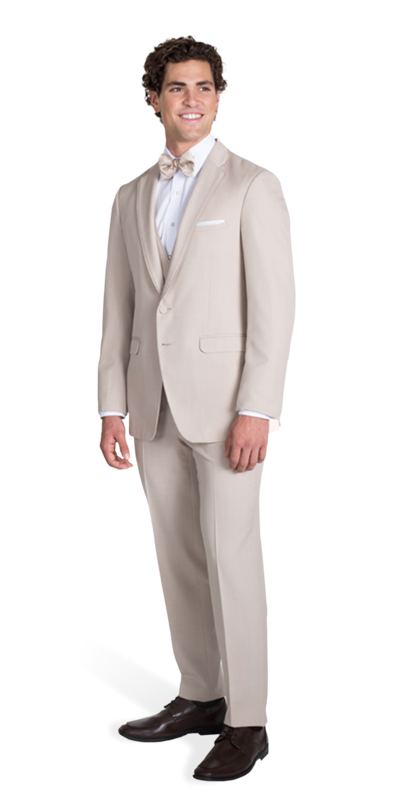 The sleek and slim fit of the Tan Suit maintains a youthful appearance, avoiding the dated look many traditional tan suits cause. The suit jacket is constructed with a notch lapel with pipe edge that maintains the overall classic and sophisticated styling you’ll appreciate. 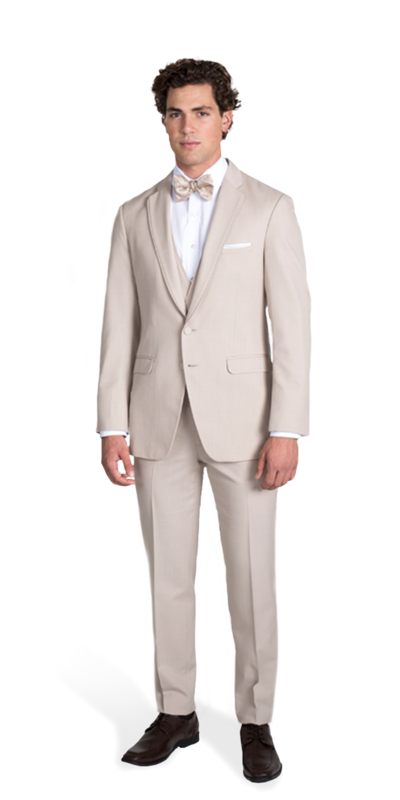 Further, the side vents and two buttons on the suit jacket maximize breathability, keeping you cool and comfortable throughout the day or evening. 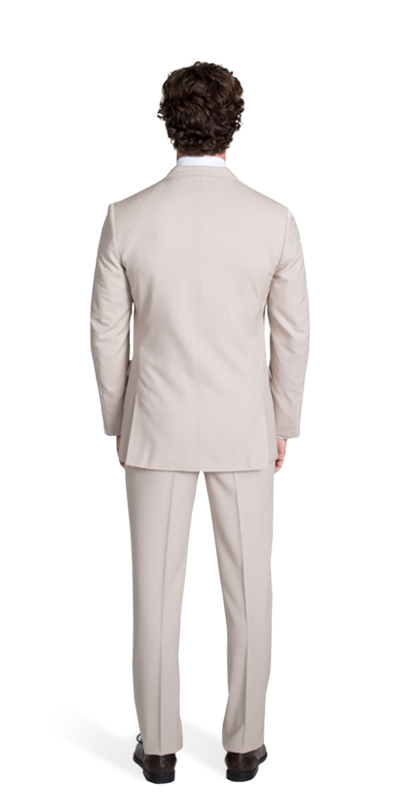 The narrow flap pockets of the Tan Suite by Allure Men are a subtle detail, without distracting from the suit’s clean lines. Make a statement in this high quality suit from trusted brand, Allure Men. Online suit rental can be overwhelming, but Stitch & Tie makes it simple. You won’t regret selecting this timeless piece that is sure to turn heads and catch the envy of those around you.